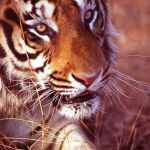 There’s nothing quite like the raw power and majesty of a tiger – and the experience is one never to be forgotten – but what’s the best way to go about seeing one? 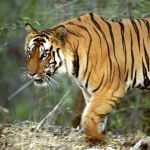 You’re a first time visitor to India, a wildlife enthusiast with limited time, or a returning and frustrated traveller yet to see a tiger… so what’s the way to stand the best chance of seeing tiger in the wild? 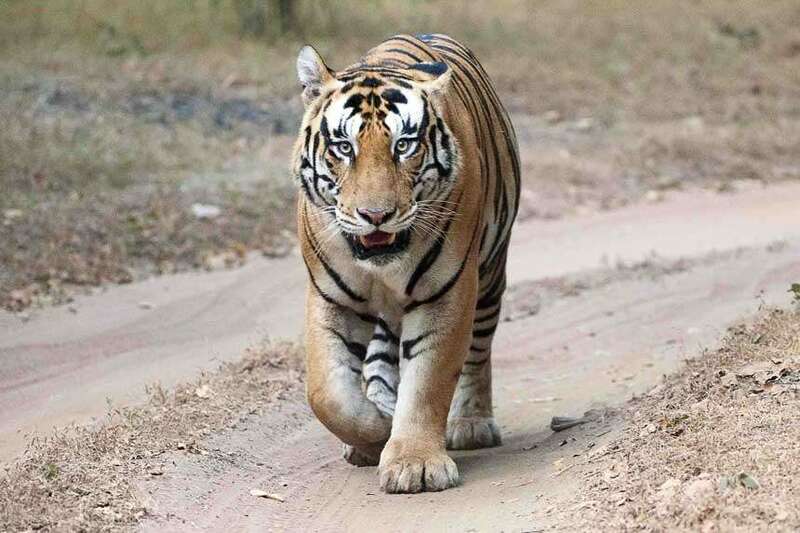 The most popular parks (by virtue of also being most accessible) with the highest density of tiger are Ranthambore (Rajasthan), Kanha & Bandhavgarh (Madhya Pradesh) and Corbett (Uttarakhand). 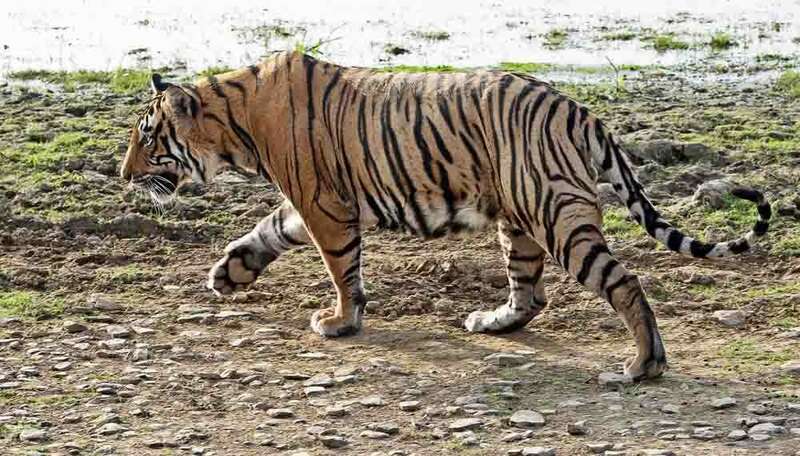 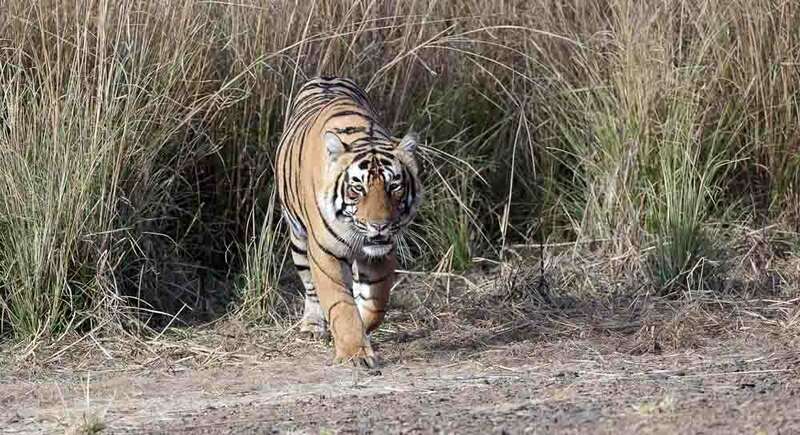 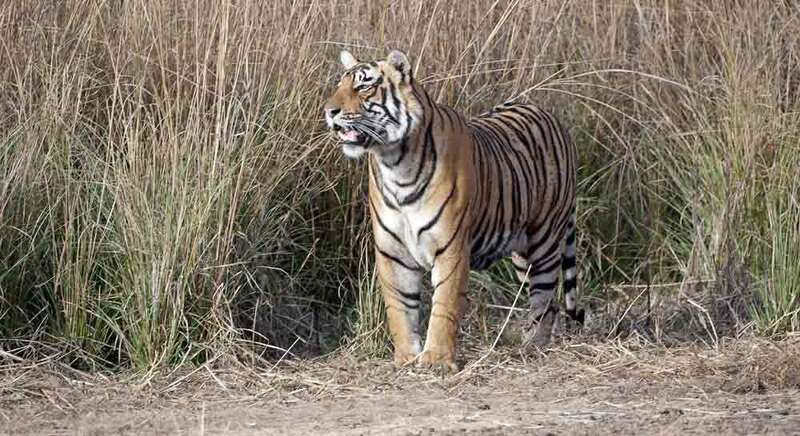 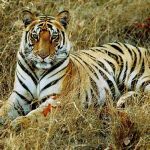 To put this in perspective, a report brought out by the Wildlife Institute of India and the National Tiger Conservation Authority, states that the highest tiger density is in Kaziranga (Assam) at 12.72 per 100 square km. 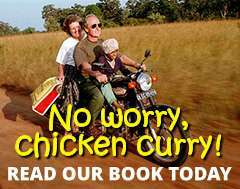 – so they’re not around every corner! 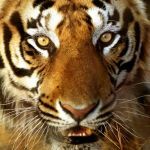 This is a more accurate guide, than simply stating tiger numbers in a park, as you have little idea over what area this extends. 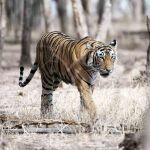 What does differ, however, is that the more accessible and well-resourced parks have a better idea of the territories of their tigers and are therefore more likely to be able to locate them. 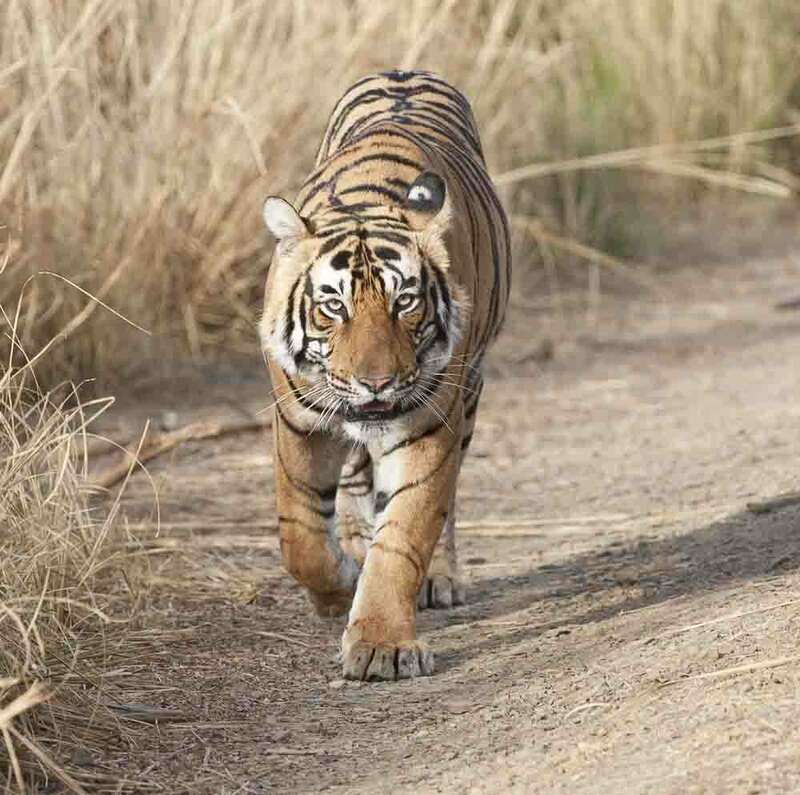 As a general rule, no tigers are collared for the purposes of tourist sightings – so all sightings are more as a result of judgement…and luck! 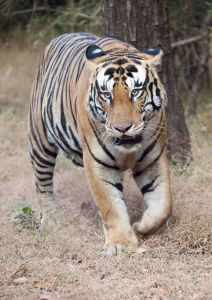 Without being too negative, you’ll immediately have to make a compromise by putting tiger at the top of your wish list. 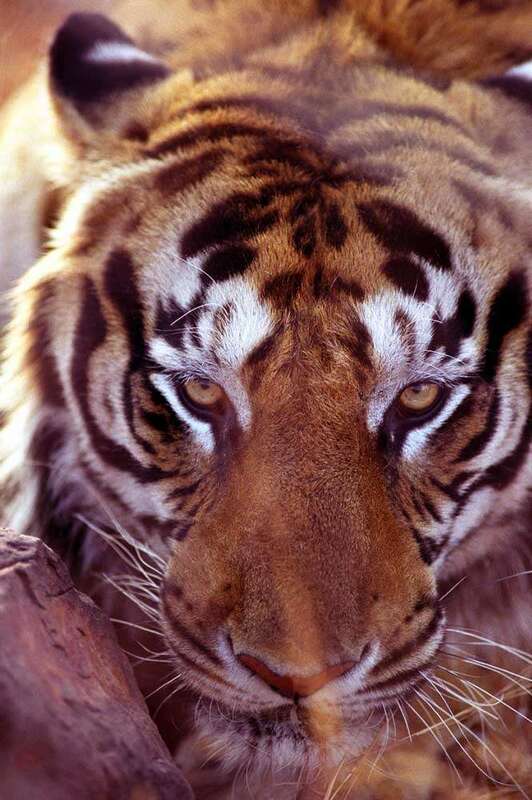 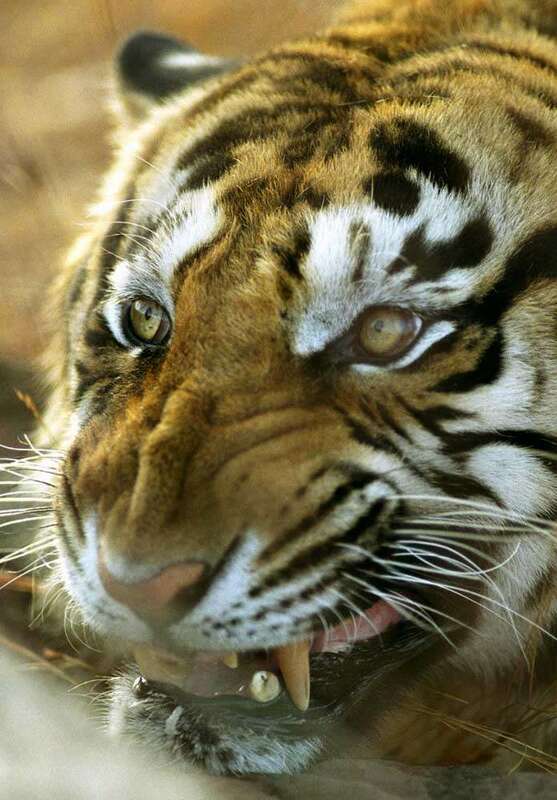 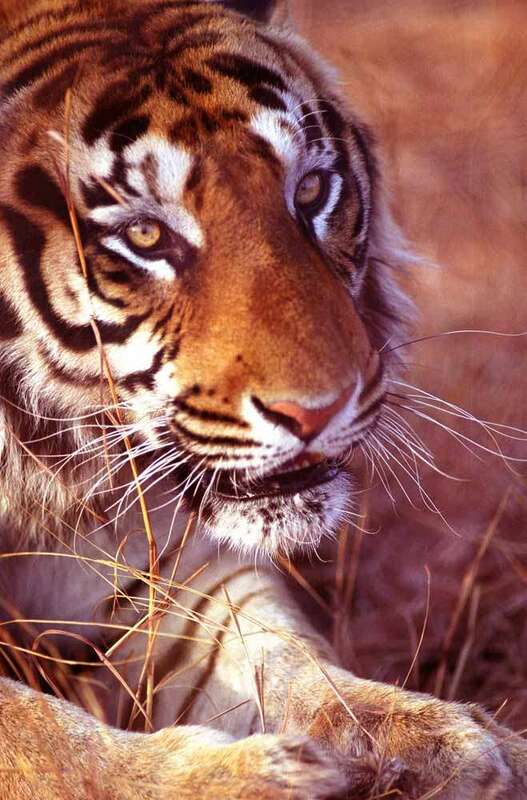 The parks with the highest density of tiger are, not surprisingly, the most popular. 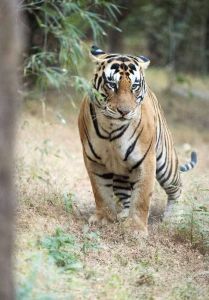 This creates high demand for accommodation, high traffic levels in the parks and a less ‘natural’ experience overall. 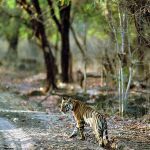 The parks with lower density are, not surprisingly, less popular with travellers and you could visit on numerous occasions without a single sighting. 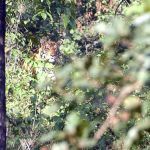 We worked on tiger conservation in one of the more ‘natural’ jungles for seven years and only saw tiger on a handful of occasions; as the animals were not habituated to the presence of man. 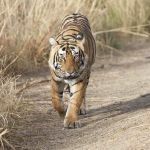 The only way to ensure the best chance of seeing tiger is to stay at a park for, at the very least, three days – so that you experience no less than six game drives (morning and evening on each day). 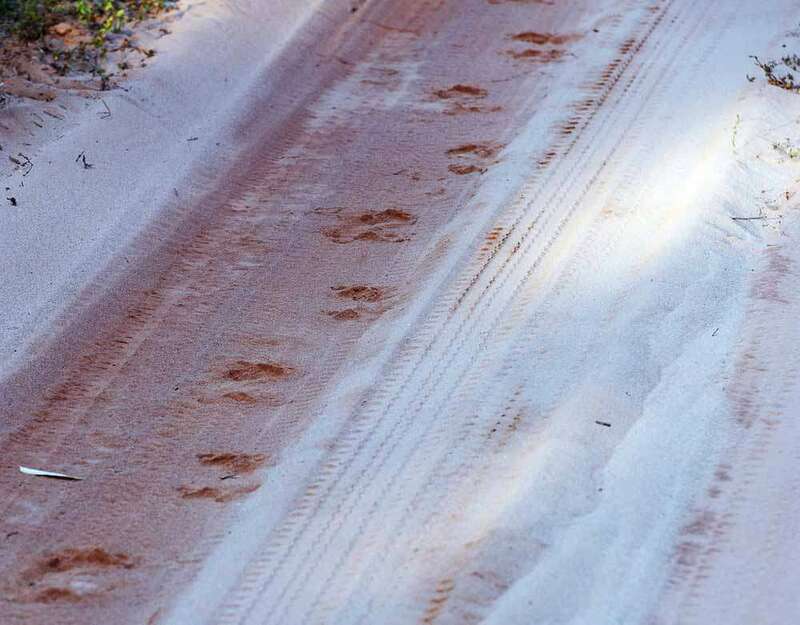 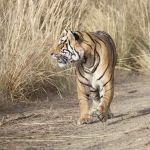 You might get lucky on your first game drive, you might miss out altogether, if unlucky – but you need to remember that the tiger isn’t on the payroll and you are ‘in the wild’. 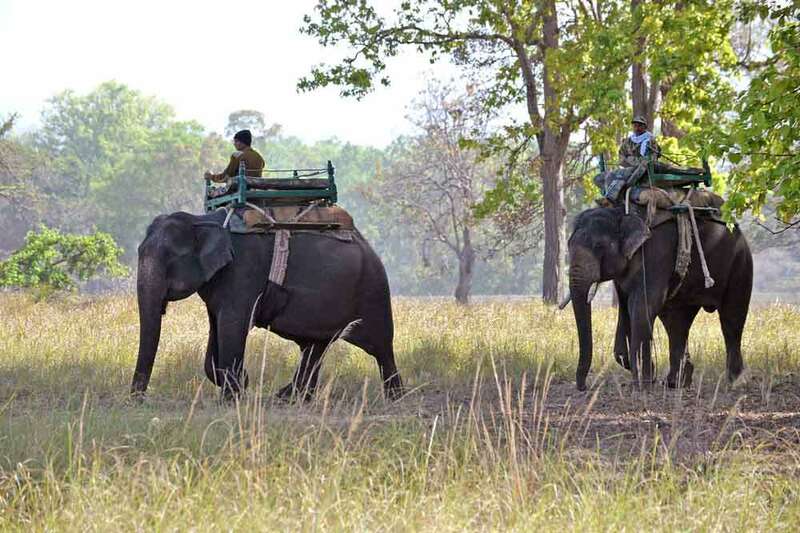 Depending on the park (and the most recent set of park rules that vary from season to season) Elephants are sometimes offered as an alternative to jeep safaris, generally on a first come, first served basis – so they’re always booked up quickly. 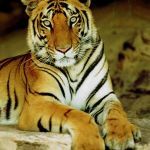 You should attempt to do this before you leave for the country. 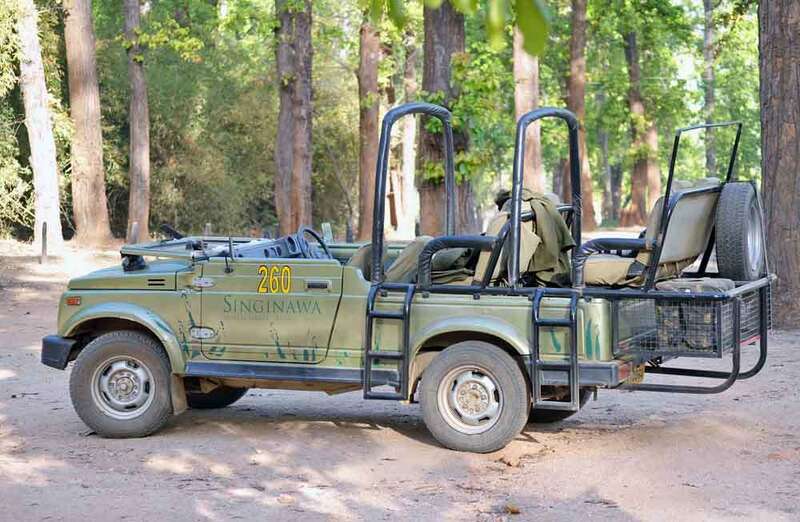 They do provide much better access to the jungle, away from vehicles and deliver a more ‘natural’ experience. 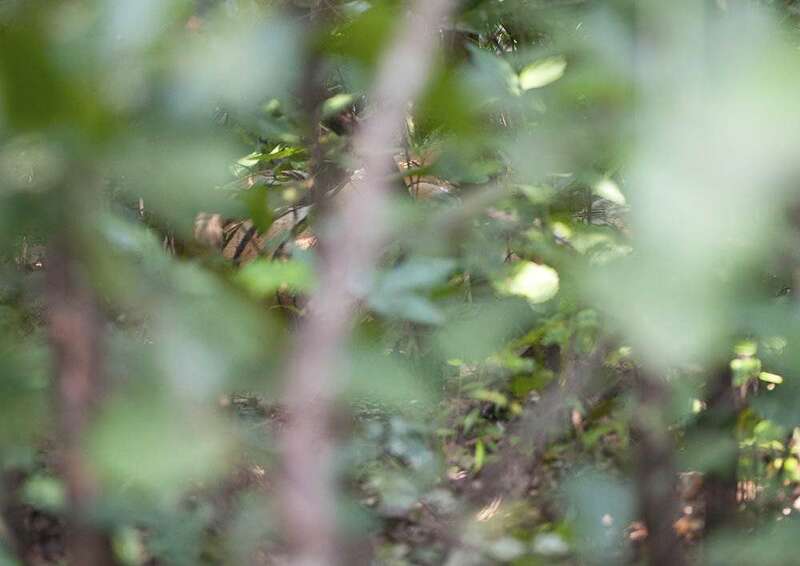 The use of elephants however is being phased out as resistance to their domestication grows; albeit they remain one of the best methods of patrolling into the forest in order to protect from poachers. 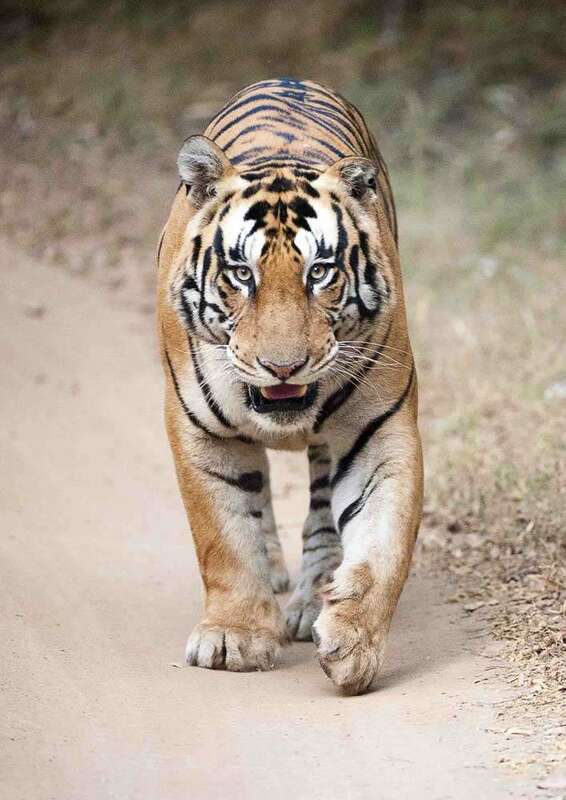 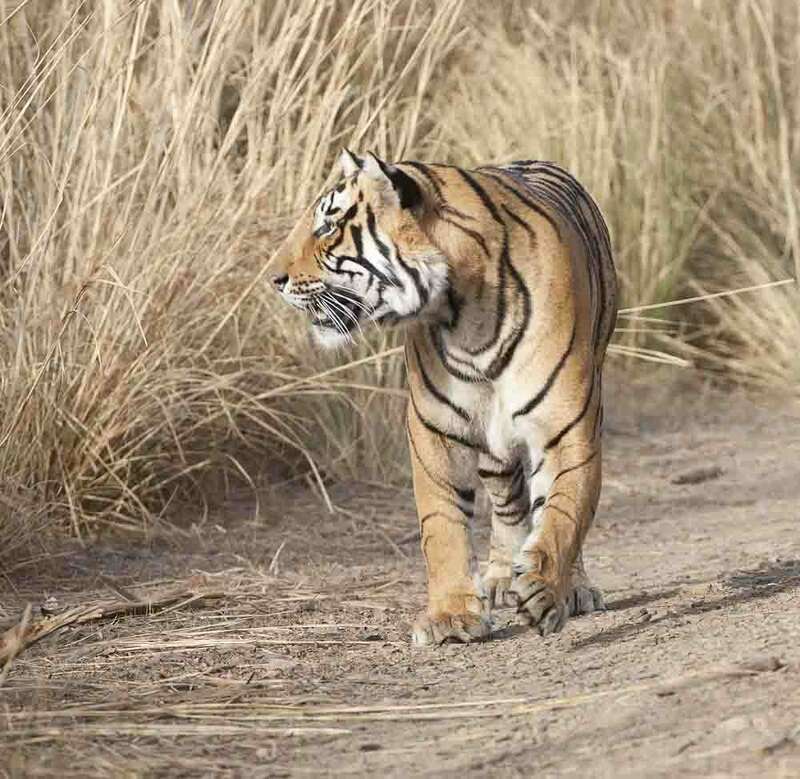 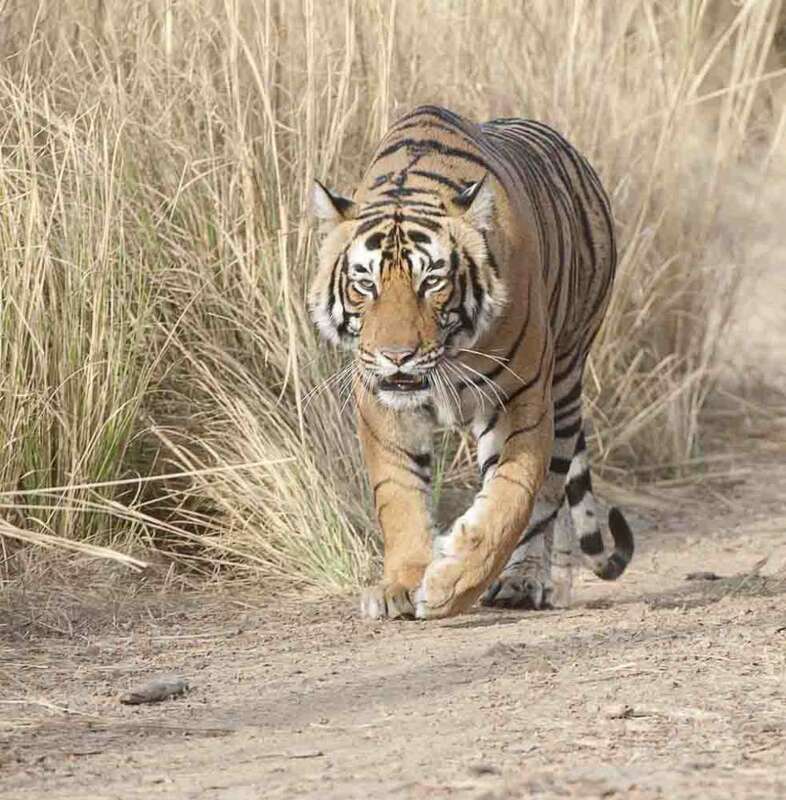 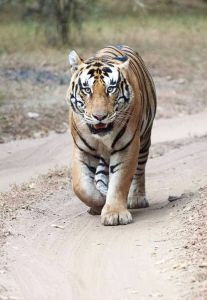 We’ve had greatest success, when travelling into parks as a tourist, by eschewing the convoy of noisy jeeps racing around to spot tiger where it was last seen, in favour of a more leisurely journey around the park, enjoying all of the forest – and then gradually working our way back into areas where tiger is known to be active. 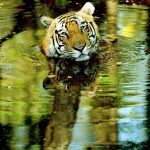 By this method you take the pressure off, yourself, your driver and guide, enjoy the jungle for what it is – and stand a good chance of seeing tiger when least expected. 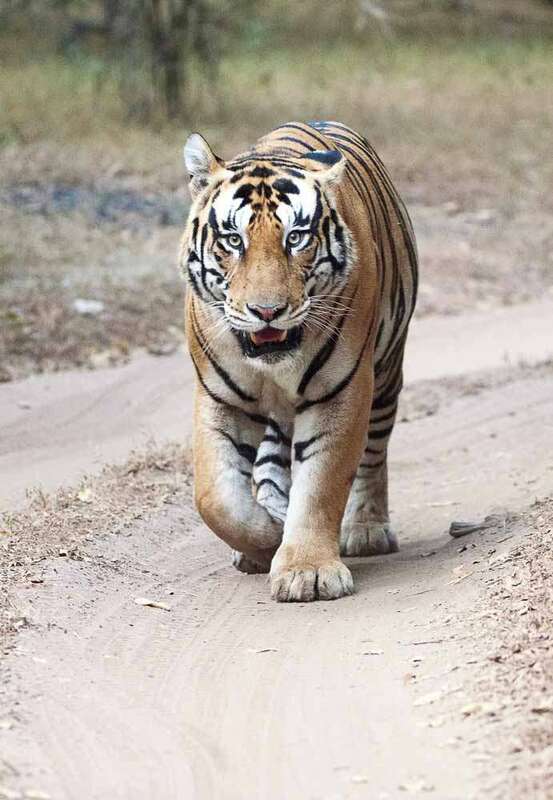 If you do see tiger and can hold your driver back (by telling him you’ll tip him anyway), try not to get into the scrum of vehicles that collect, push and shove one another whenever a tiger is spotted. 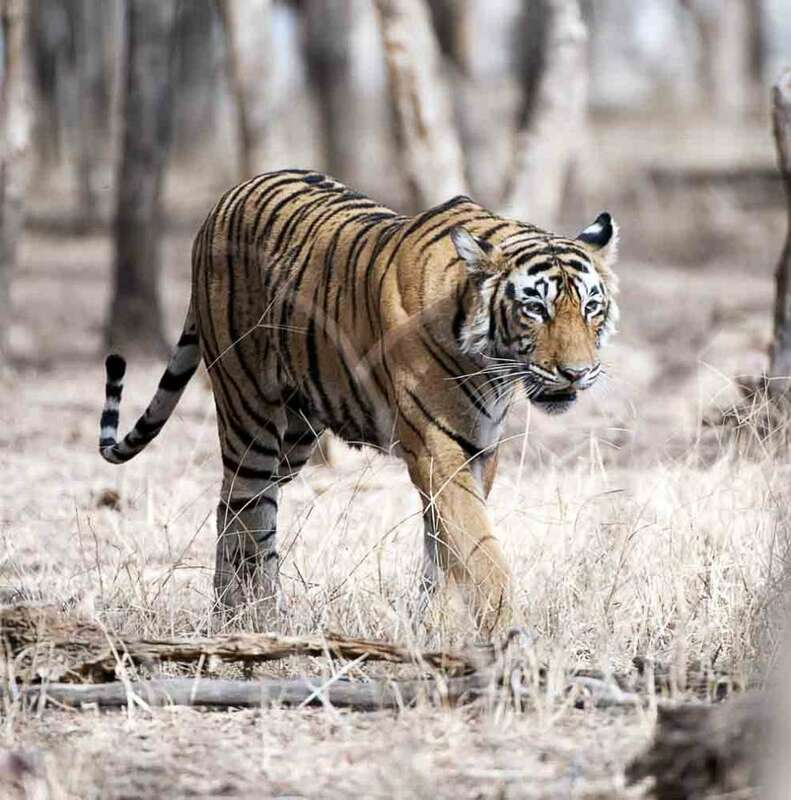 If you hold back, the tiger will often take exception to the clamour around it and move further down the track or into the forest in search of a little quiet – this can often be closer to you. 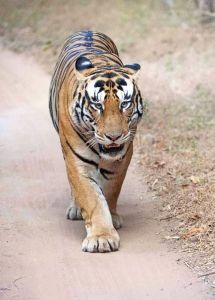 We’ve had tiger walk towards us, leaving the mob behind, so that we’ve had a solo experience for a good ten minutes. 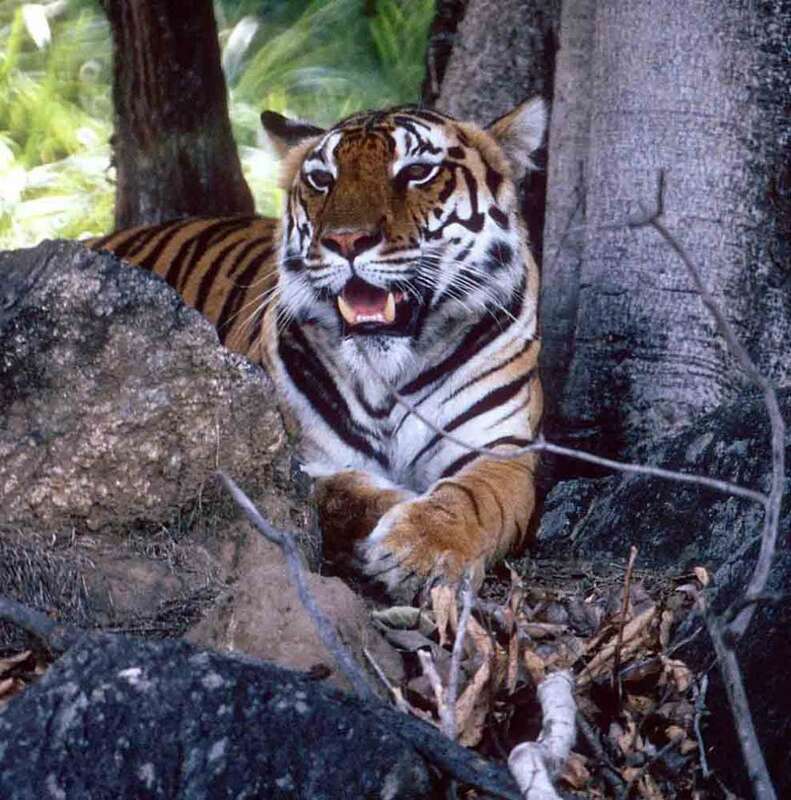 There’s nothing more guaranteed to ruin a sighting than the yelling and screaming of over-excited tourists. 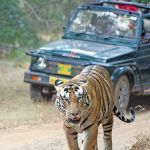 If you’re a keen photographer/wildlifer and you can afford it, then take a jeep for yourself, rather than share with four or five others. 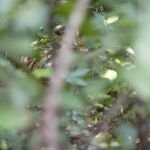 This is becoming more difficult and expensive but is well worth it – you can then dictate the amount of time you spend with whatever wildlife you see and won’t be disturbed by fidgeting or distracting talk from your companions. 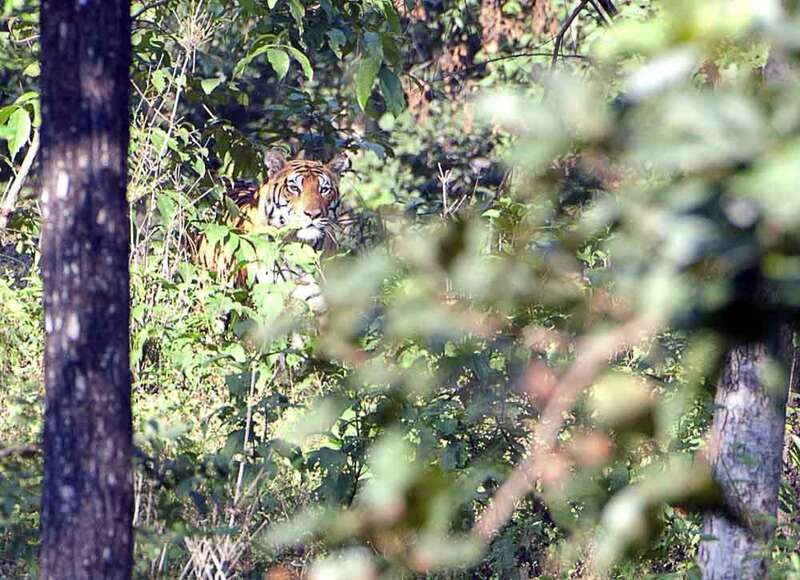 To see tiger is a rare privilege, one that many will never enjoy. 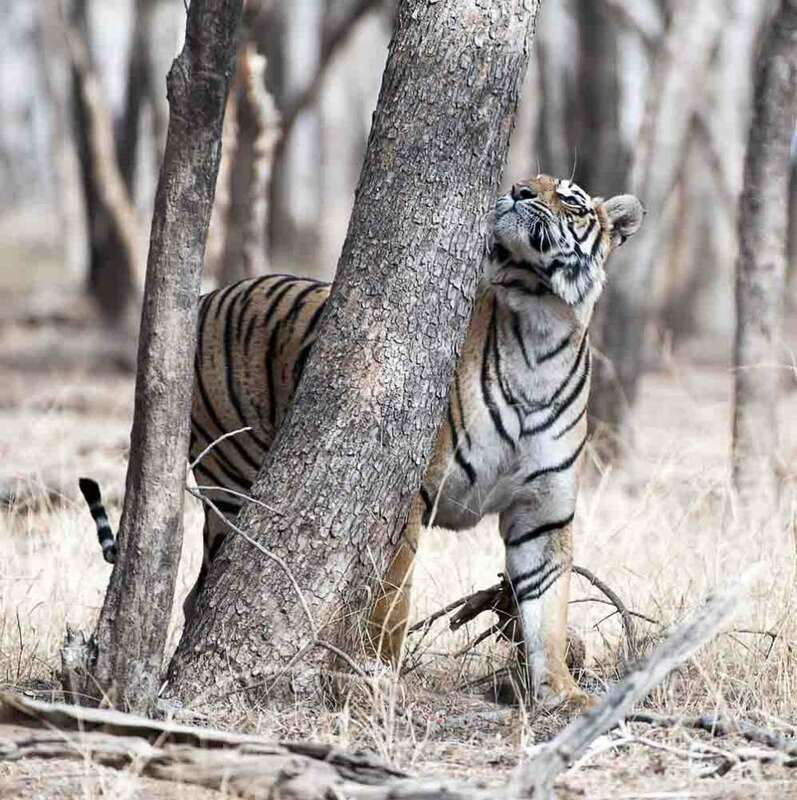 In the heat of the moment – stop to think – these animals are severely endangered and whilst your presence does something to contribute to their survival there’s so much more that can be done – needs to be done! 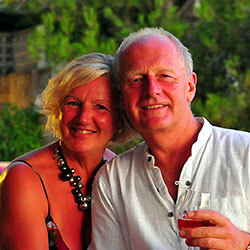 Speak to us if you’d like to know more but you’ll get some background from the links in ‘Cherrie’s Notes’ at the end. 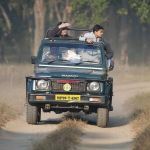 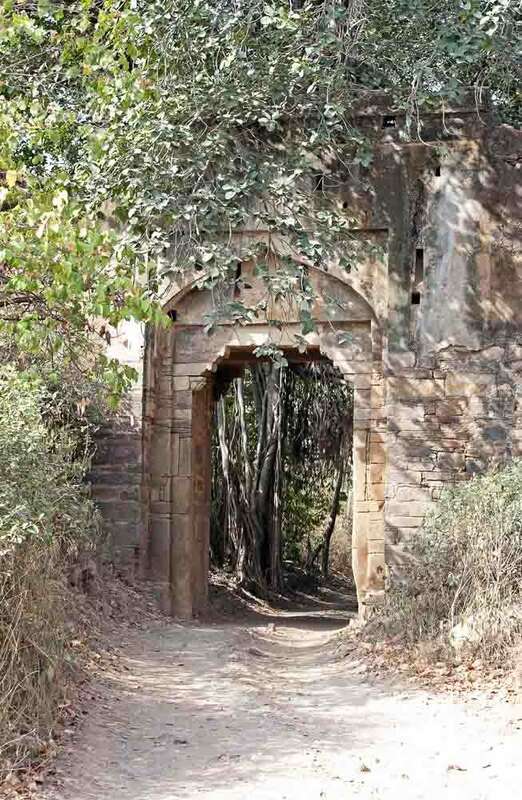 In recent years the Indian Forest Department has opened a larger number of access gates and zoning around the parks – but simultaneously introduced quotas for maximum numbers of jeeps entering each per day. 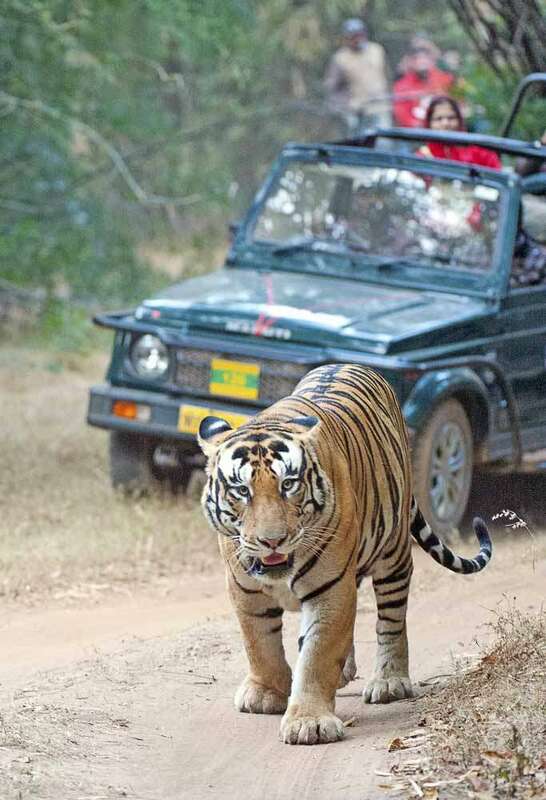 Access to these zones, for any one jeep, is loosely rotated on a daily basis so that you might, or might not, get the prime areas where known tigers circulate on successive visits. 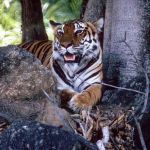 If you are only at a park for a couple of days, you could be very unlucky by being allocated buffer rather than core areas. 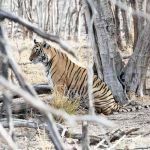 Unless you remember the elitist days of the Raj, when only the privileged got to see tiger, you have to accept that you’ll now be immersed in a commercial enterprise to capitalise on the country’s natural resources. 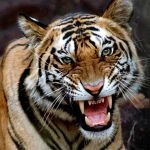 Although moves have been made to ‘level the playing field’ unfortunately, as with most things, money talks and you need to speak to your tour operator to ensure that if you’re incredibly keen to see tiger, you give yourself the best opportunity to do so. 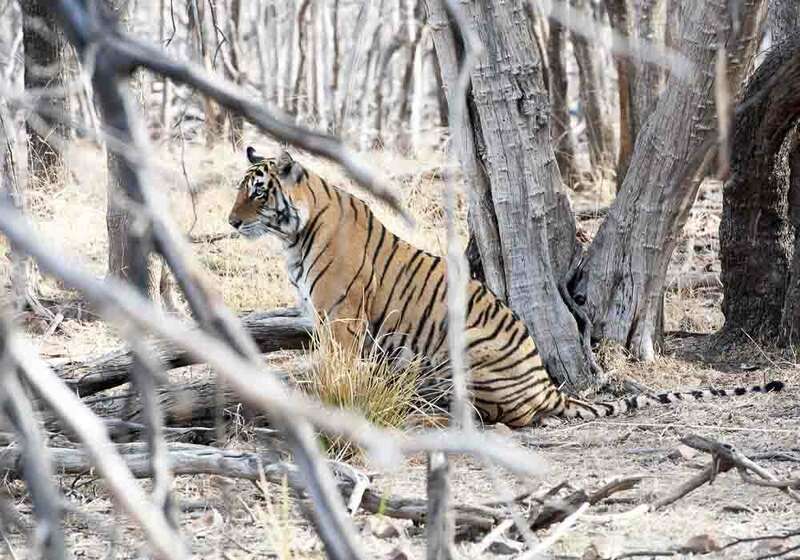 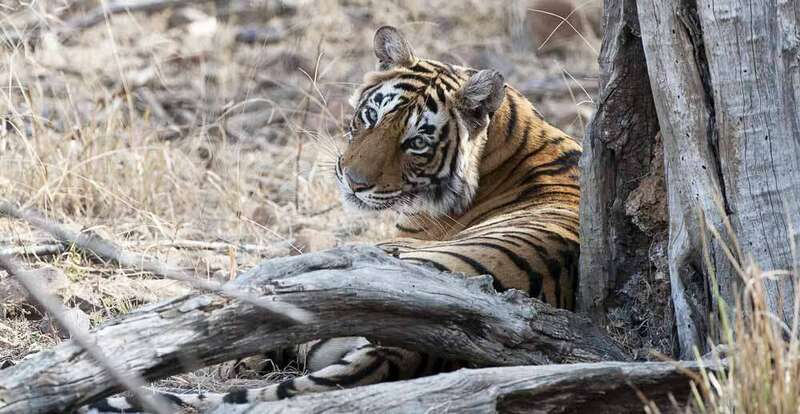 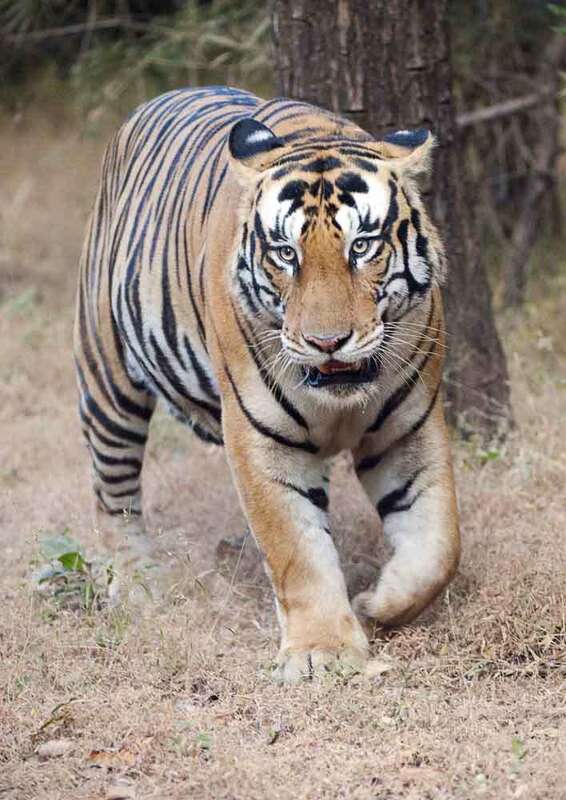 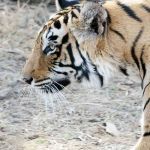 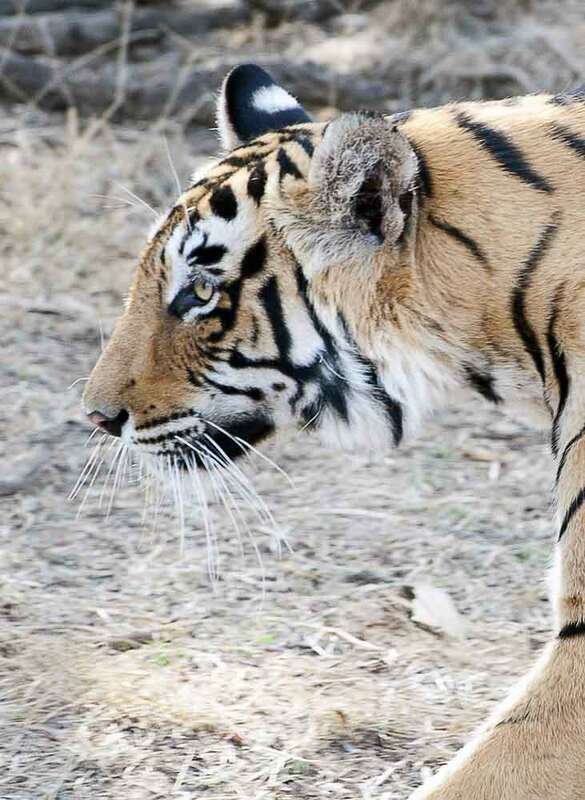 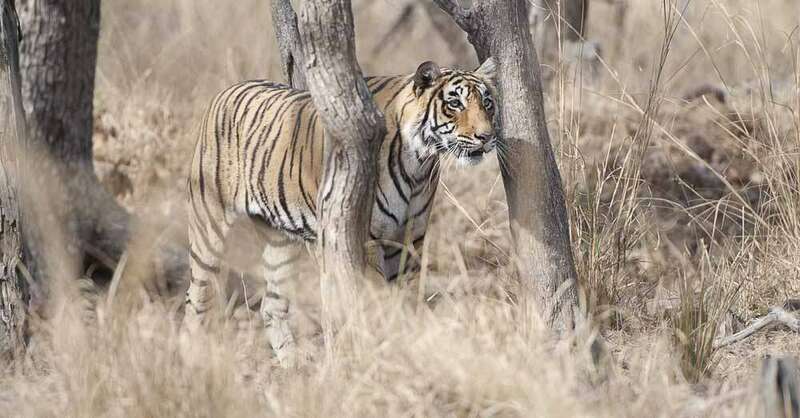 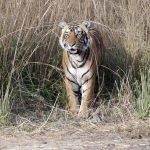 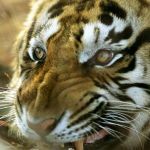 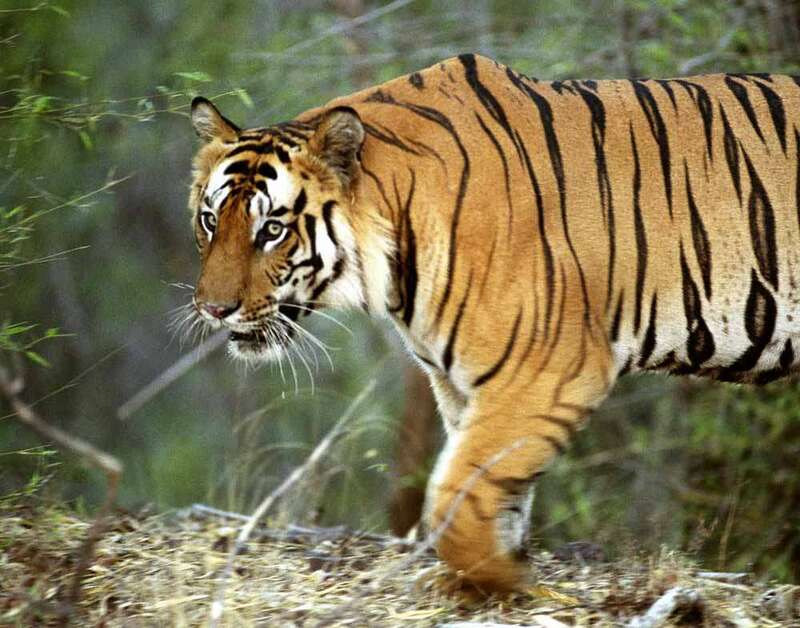 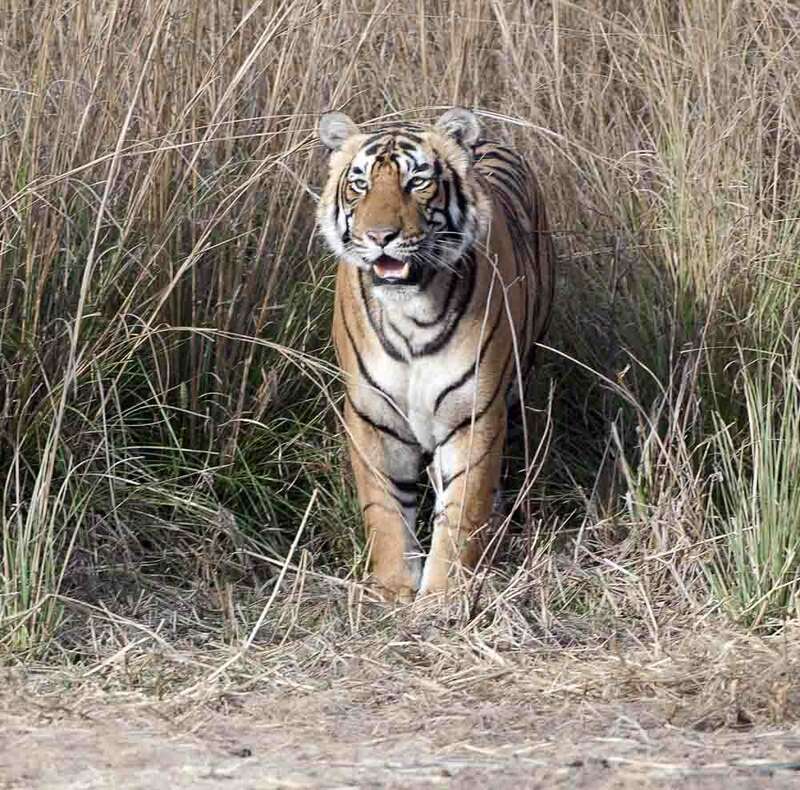 Statistics about tiger are notoriously flawed by virtue of tiger census methodology and further skewed by poaching activities that can decimate a park’s population; but you can use latest statistics as a rough guide when planning your trip. 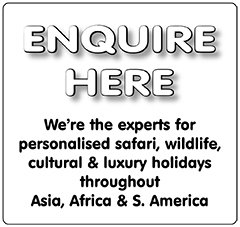 Check with your tour operator for latest updates. 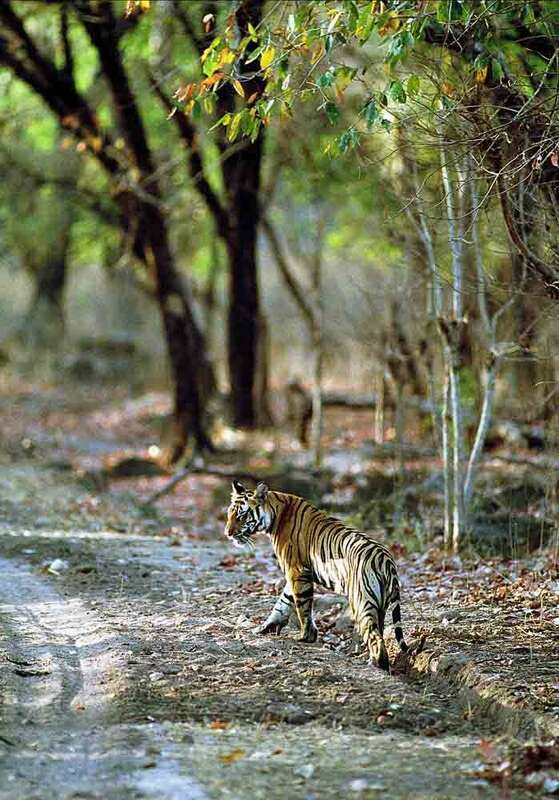 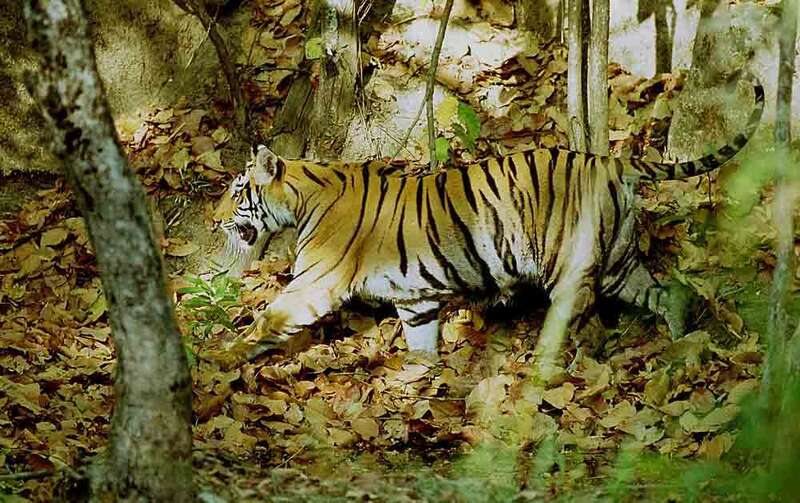 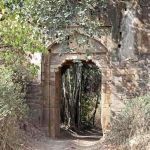 Unless, for example, you visit both Kanha and Bandhavgarh (in Madhya Pradesh) together, which are within easy reach by car of one another, you’ll need to fly between other parks, or spend many arduous hours on the road, given their geographical remoteness from one another within India. 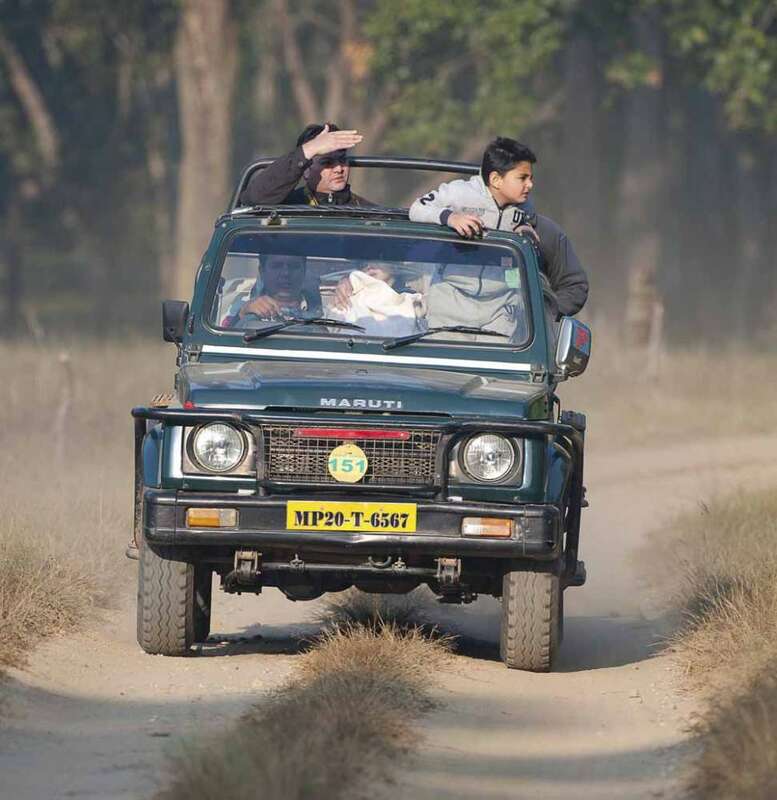 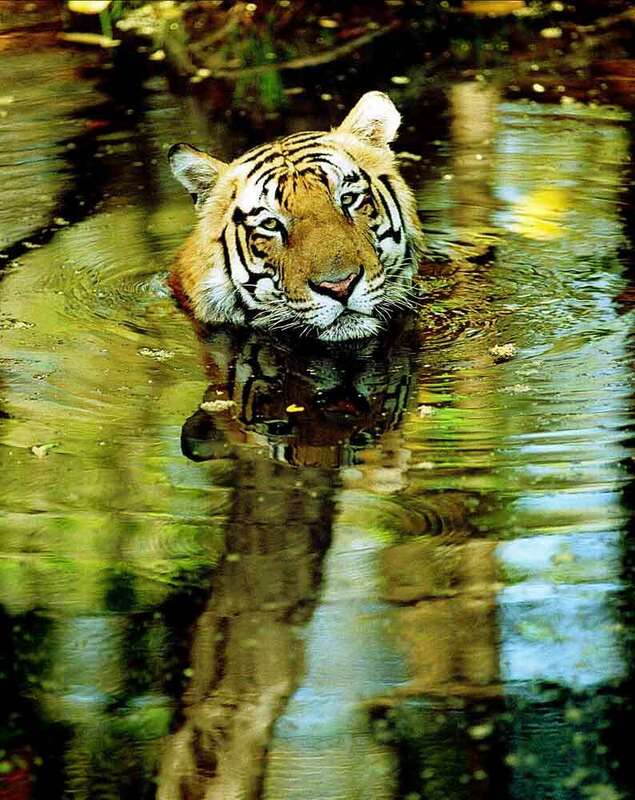 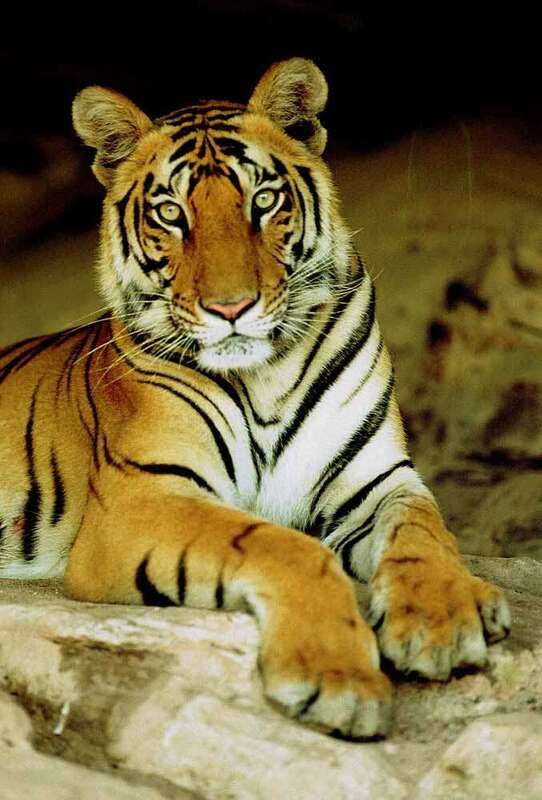 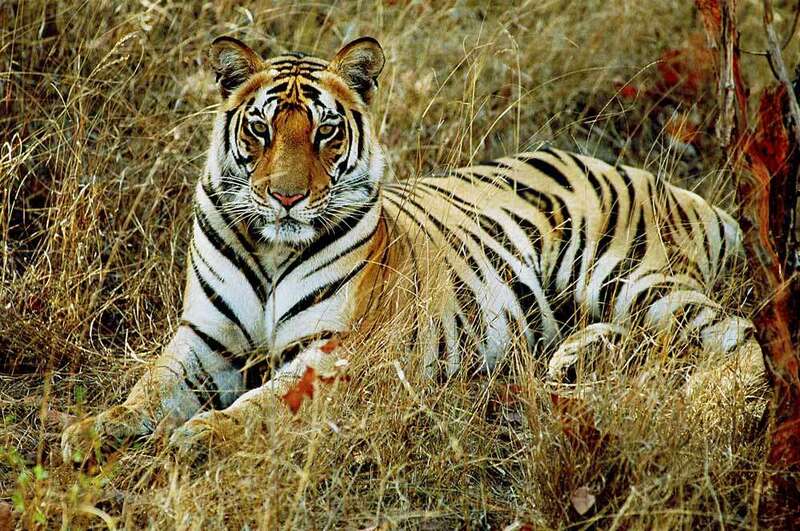 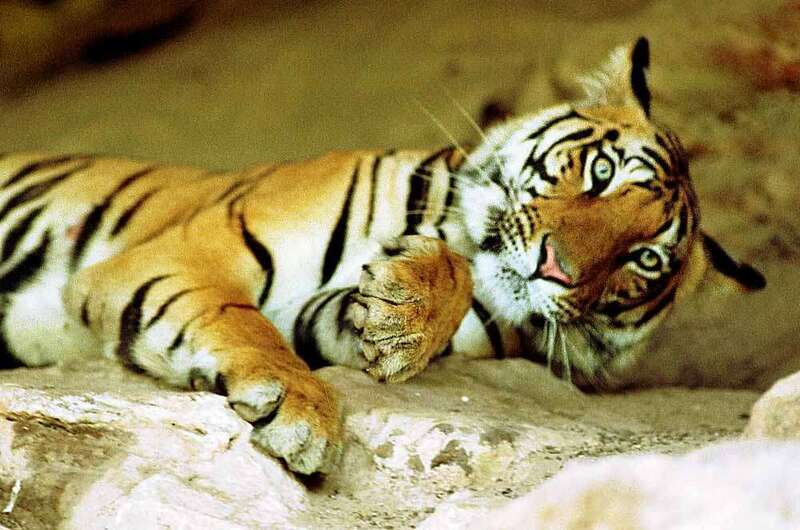 We’ve a wealth of experience in tiger reserves that we’re happy to share with you. 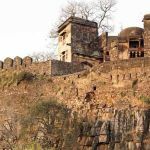 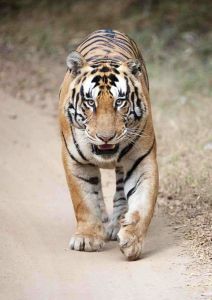 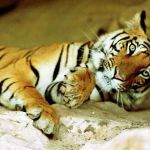 We can also plan and book your very own tiger adventure in and around any or all of the parks in India and further afield. Please don’t be mislead into thinking that all’s well with tigers – they are still on the brink of extinction. 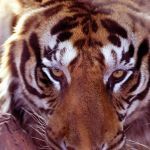 If you’re interested in knowing more or doing something, then you need to understand the precarious situation they’re in. 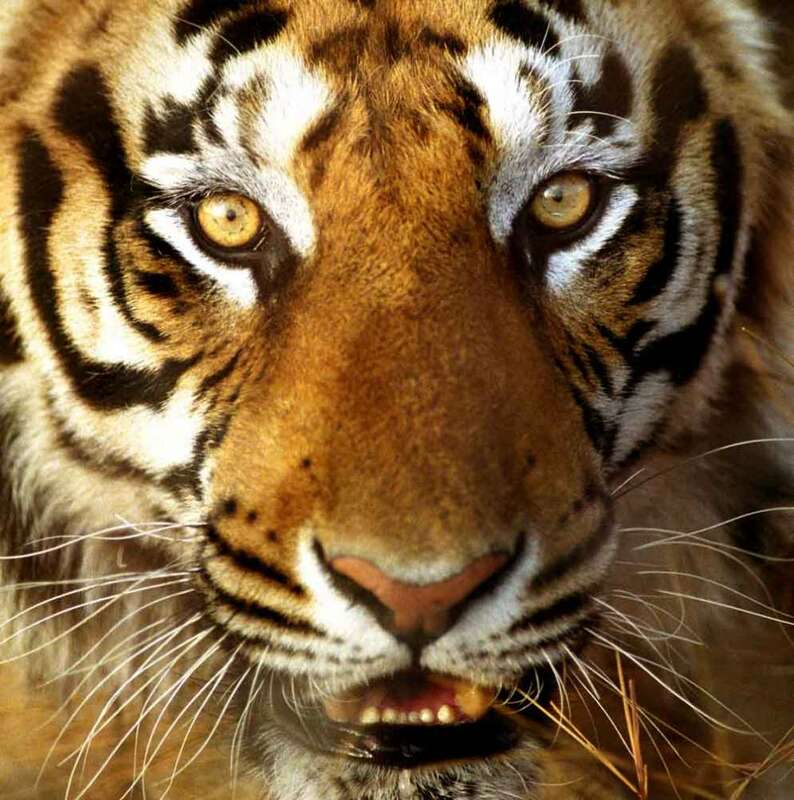 Have a look at: The Guardian article here and/or the Daily News one here. 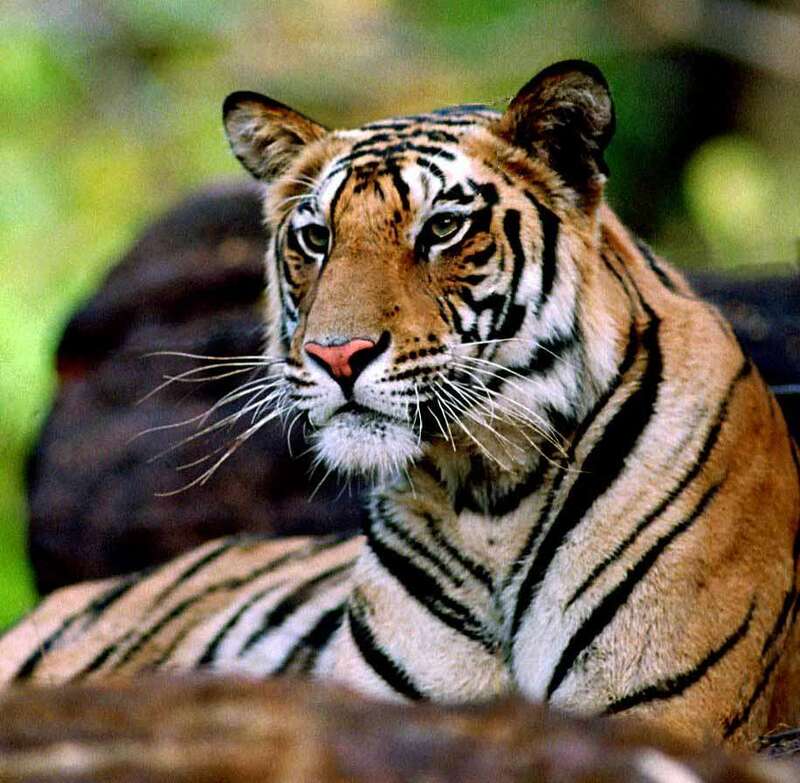 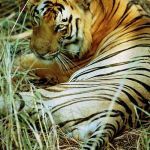 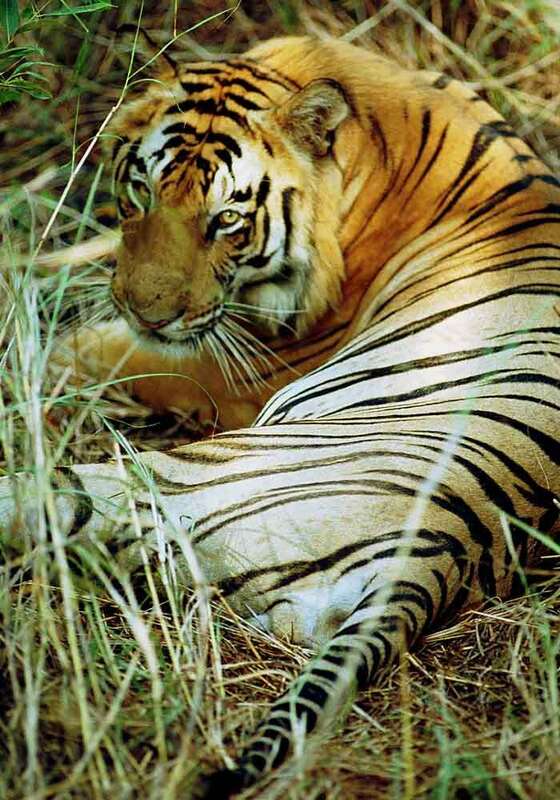 There’s so much wild life to be seen in India but if you’re on the trail of the tiger, let us arrange somewhere wonderful but ethically sound and responsible for your next holiday.